While some players think about winning at roulette, some of them have actually already discovered methods of doing just that. 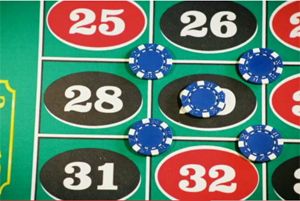 Their big winnings show that it really is possible to win some serious money when playing roulette!. Ashley Revell lived in the city of London. In 2004, he sold all of his goods (including his house and his clothes) to play roulette in Las Vegas. Ashley had a total of $136 000, which he placed on Red with the option of double or zero. Red 7 won, and Mr. Revell managed to immediately get $272 000! Joseph Jaggers is famous for being the first person to use a biased wheel while playing roulette in the year 1873. Along with six clerks, he examined every wheel in a Monte Carlo casino and discovered a single biased one. Because of this, they managed to win a large sum of $325 000. Gonzalo Garcia-Pedayo is a more modern player of roulette that became famous for some betting strategies that he developed. 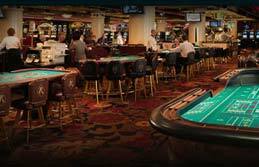 In fact, these systems of betting helped him win millions during roulette games. 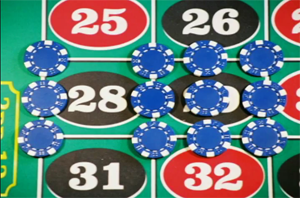 Gonzalo simply studied a variety of roulette wheels during the 1990's in order to develop his famous betting systems. He recently appeared in the TV show "Breaking Vegas". Charles Wells is a London citizen and is known as the one who broke the Monte Carlo bank. When he played roulette, he stayed at the table for several days and always managed to break the bank. This means that he always won all of the casino's money each and every time he played. Pawel Piskorski, a Polish politician, placed a bet in 1992 and managed to win 4,950,000,000 zloty while playing roulette. He used these winning as an explanation for his enormous income, even though it is not possible to win such a large amount. Back then, 1 000 000 zloty was the highest possible bet. This means that Pawel Piskorski must have succeeded 138 times, and each time placed the highest possible bet. Darren Brown is a British writer and illusionist who made a famous bet in October 2009 while playing a game of roulette. He bet 5000 pounds in an effort to try and prove physics laws - and only with a single number on the roulette wheel. The event was broadcast everywhere in Europe through a camera hidden in Darren Brown's sleeve. He tried to prove the fact that it's actually possible to be able to predict where the ball will stop by spinning the roulette wheel using a certain speed while also throwing the ball using a certain speed, as well.